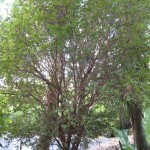 Jaboticaba (Myrciaria cauliflora) - Richard Lyons Nursery, Inc.
Jaboticaba is the Brazilian term for four very similar species of Myrciaria that produce one of the more interesting-looking tropical fruit trees in the southern half of Florida. 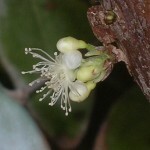 The name of the best-known of those species, M. cauliflora, suggests why: It is cauliflorous, meaning that its flowers and fruits are borne directly on the woody stems and trunk of the tree. 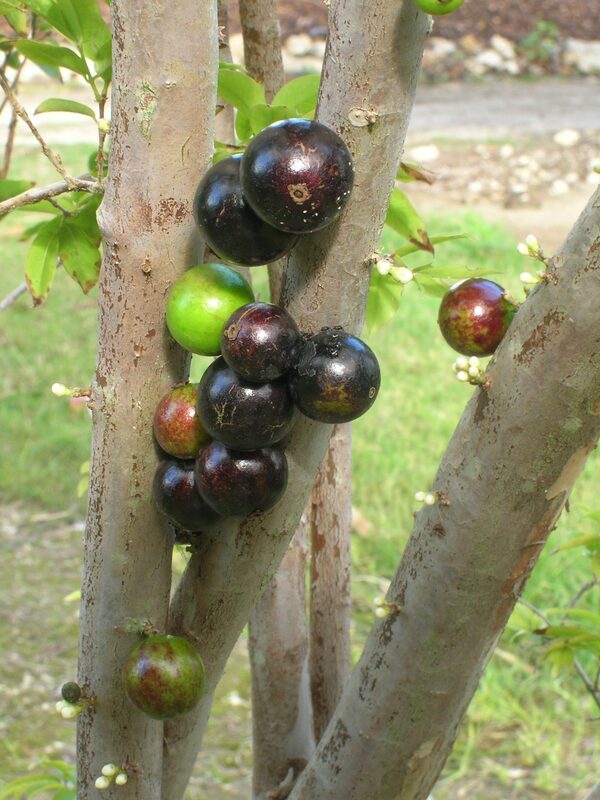 Jaboticaba is native to southeastern Brazil, as well as parts of Paraguay, Bolivia, and Argentina and, because of that southerly origin, mature specimens can tolerate periods of brief frost into the upper 20s. It was introduced to Florida just over 100 years ago, reportedly in Brevard County. 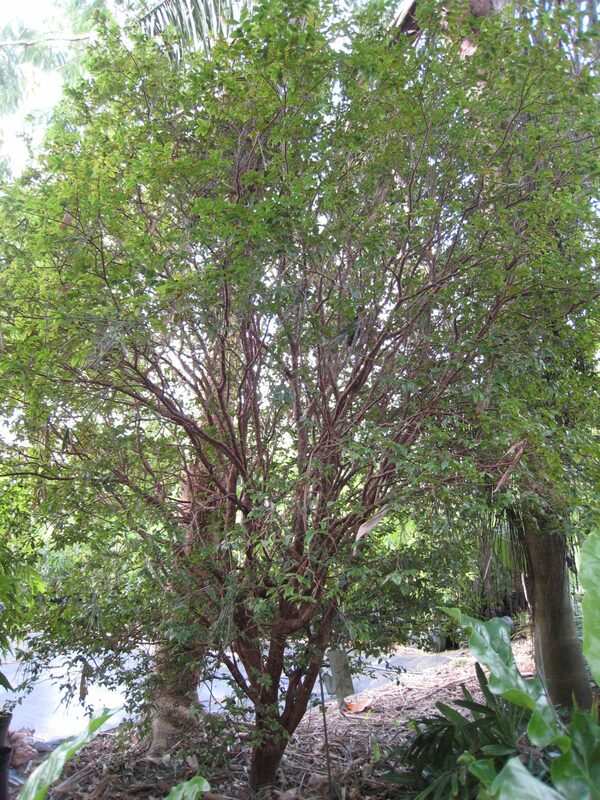 It grows very slowly and, in the shallow soils of southern Florida, rarely exceeds 15 ft. (The slow growth rate also makes Jaboticaba popular as a bonsai subject.) 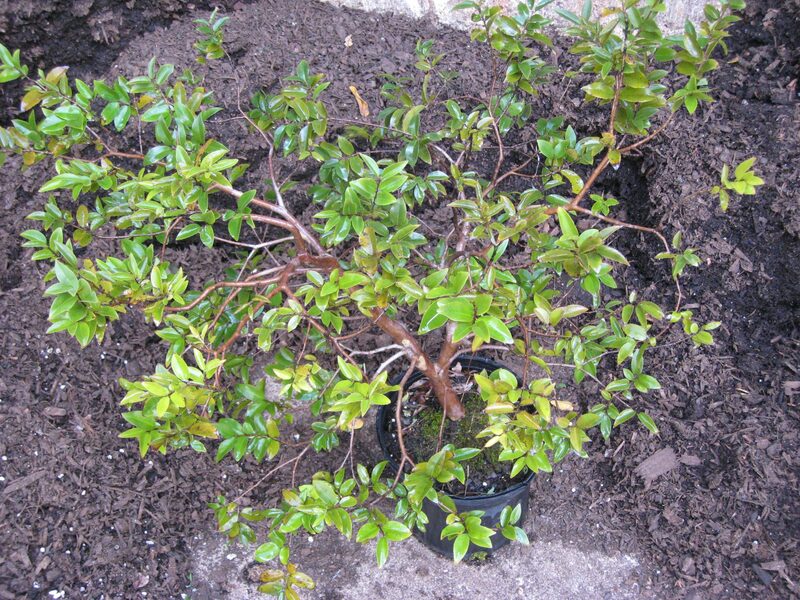 While the tree prefers mildly acidic soils, it adapts fairly well to alkaline sites, especially when good nutrition is provided. 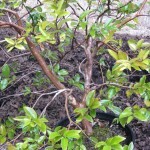 For best fruiting, trees should be grown in full sun, and the soil at the planting site should be well-aerated. 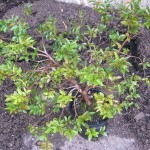 While good soil moisture is a must for Jaboticaba, good drainage is also essential, so be sure to plant the tree 2-3 in. above the surrounding soil. This genus is not salt-tolerant. 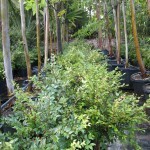 Jaboticaba performs much better in cultivation than under natural conditions. 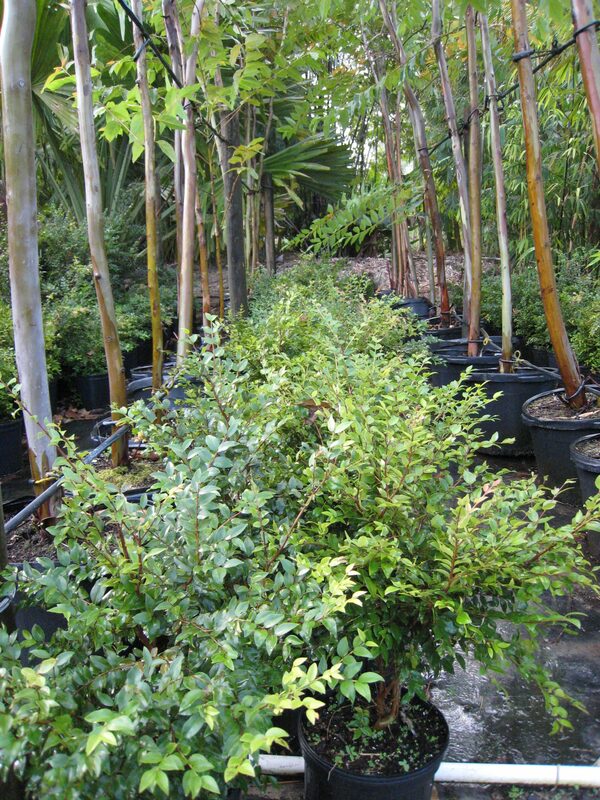 Although a tree may not begin to flower for eight years, given appropriate moisture and fertilization it will eventually flower and fruit several times a year. 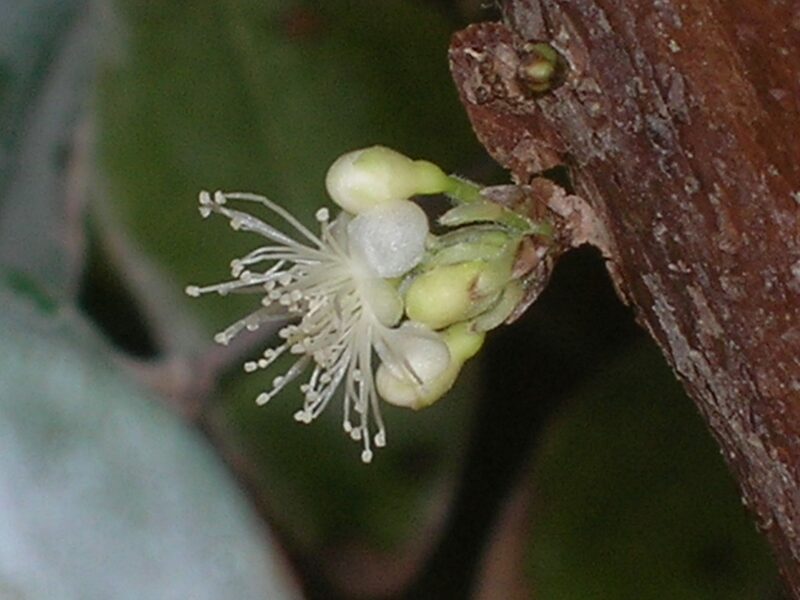 The flowers are small and white, and the leathery skin of Jaboticaba fruit ripens in a range of color from purplish-maroon to almost black. 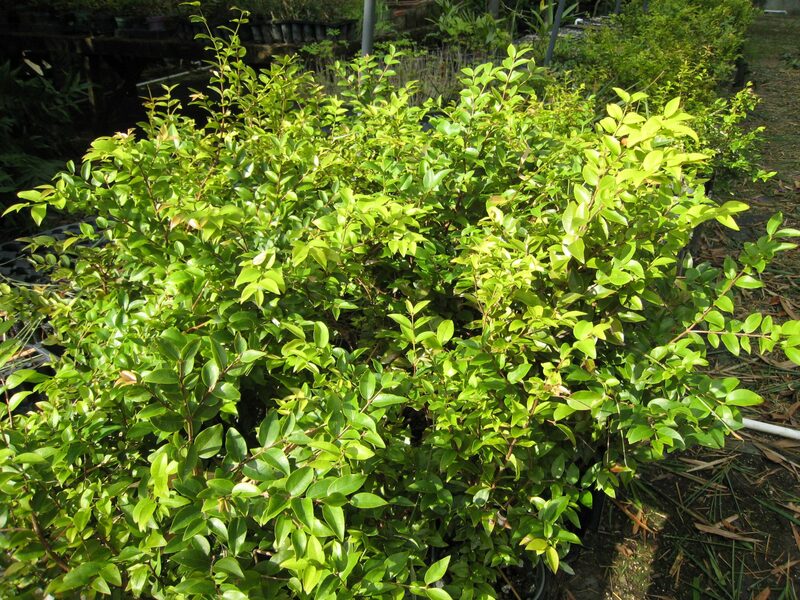 The period from flowering to fruit harvest is encouragingly short — 20-30 days. 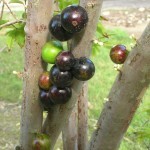 The fruit, which ripens an inch or so in diameter, has a grapelike appearance, but contains just 1-4 large seeds. The gelatinous flesh is white to pink, and its flavor ranges from sweet to subacid. 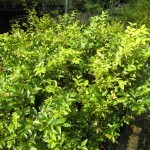 Since the fruit has a fairly short shelf life, it is usually eaten fresh, but is also used to make jams, jellies, pies, and alcoholic beverages. Fruit skins are known to have medicinal value and are said to be processed for anti-cancer compounds. However, consuming the raw skin more than occasionally is not recommended due to its high tannin content. 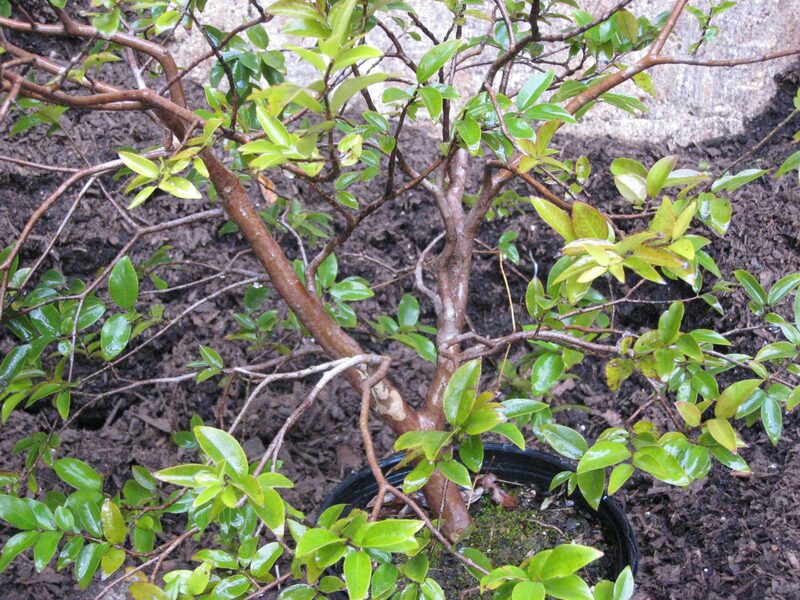 This very nice fruit tree is available at Richard Lyons’ Nursery in 4-in., 3-gal. and 15-gal. containers.